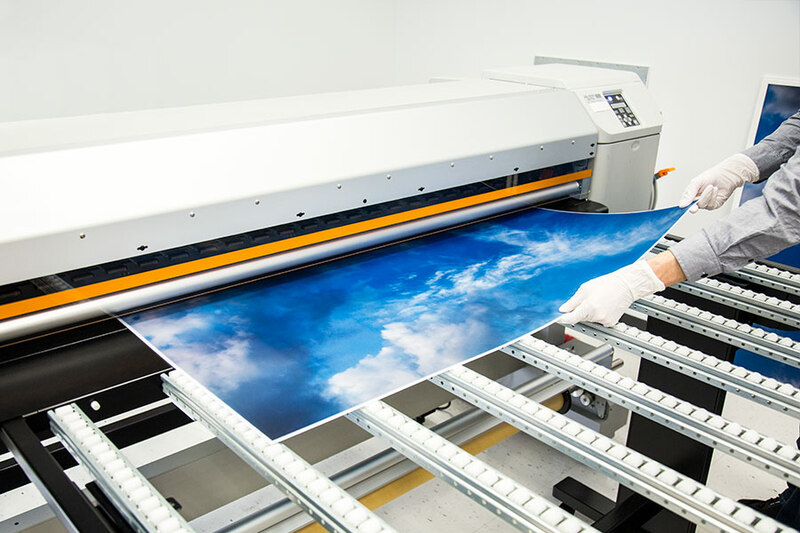 Skylens™ Fluorescent Light Diffuser - Summer Sky Decorative Light Cover - 2' x 4'': Panel Being Printed At SBL! 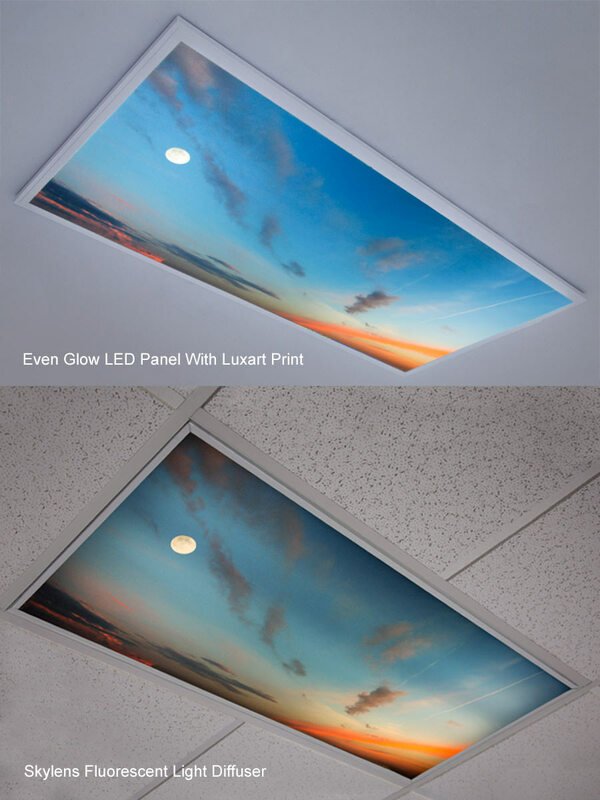 Skylens™ Fluorescent Light Diffuser - Summer Sky Decorative Light Cover - 2' x 4': Showing Even Glow LED Panel (Top) With Luxart Print Compared To Skylens Print Installed In Standard Fluorescent Fixture. 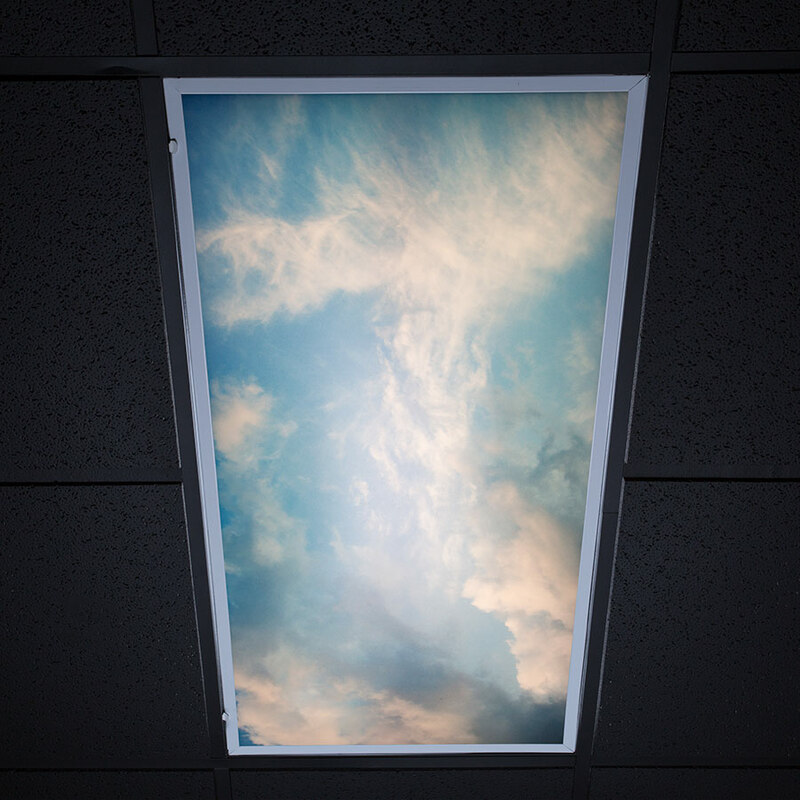 Skylens™ Fluorescent Light Diffuser - Summer Sky Decorative Light Cover - 2' x 4': Showing Standard Fluorescent Fixture With And Without Skylens. 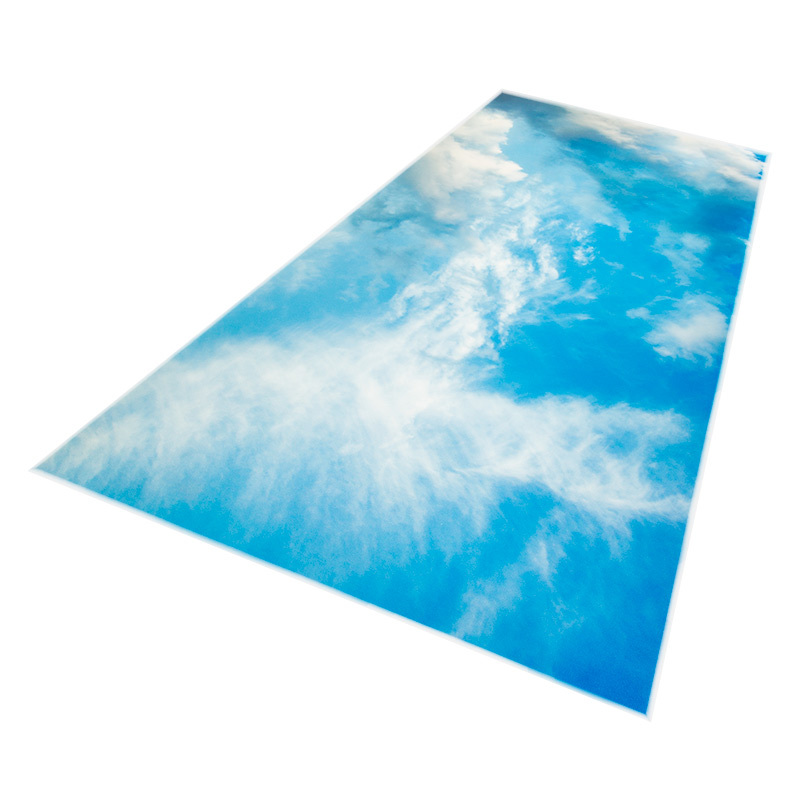 Skylens™ Fluorescent Light Diffuser - Summer Sky Decorative Light Cover - 2' x 4': Check Out Our Custom Printed Lenses! Easily replace the diffuser in your 2' x 4' troffer light with this decorative light cover. 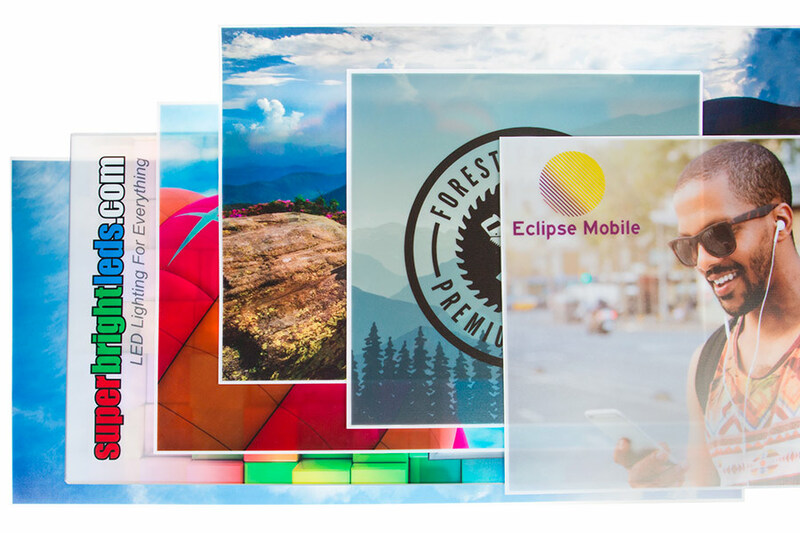 The Skylens® Fluorescent Light Diffuser features a vibrant Summer Sky image that is printed directly on the diffuser for optimum clarity and quality. 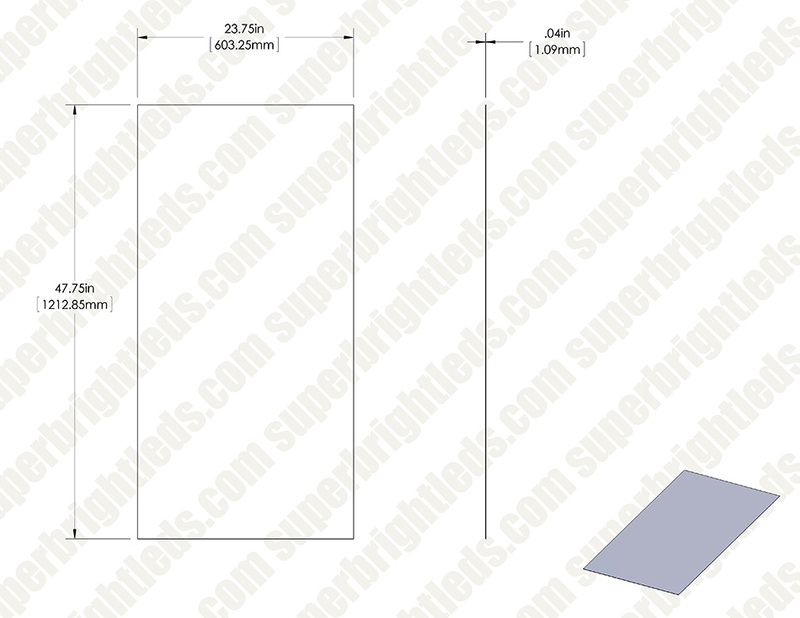 Simply remove the existing diffuser from your panel light, and mount the decorative Skylens™ in its place. 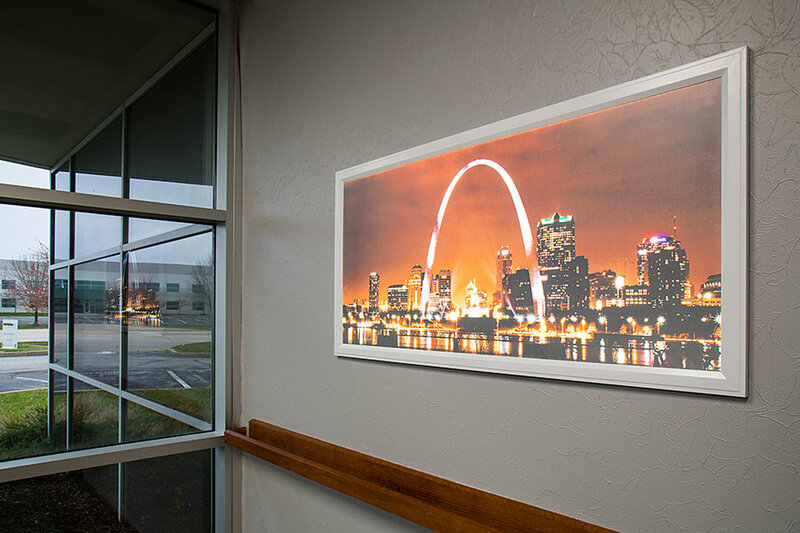 The flexible PMMA acrylic diffuser measures 1.98' x 3.98' and can be trimmed to fit your troffer light. Basically it was put in without anyone knowing and it was thought a skylight was put in. ok,I had to trim this 2x4 to fit my 2x4 and the best way to do it is to take out your clear original lens and put it on top of your scene lens and your scene lens on top of something that will not scratch it,(i used the paper it was shipped with) and use a SHARP utility knife and carefully score the surface of the scene lens using the original clear lens as a template,do this several times and be patient it will get to a point where you can break off the excess easy without ruining your scenic lens,that is about it,reinstall and enjoy the great outdoors. Items was packaged and shipped with care and unbroken. If you pay up and buy the best to start with then everything else is second best,so save up and buy several and you will not be disappointed. This is my opinion on this purchase and all i was asked to do is voluntarily rate it and i did without compensation.